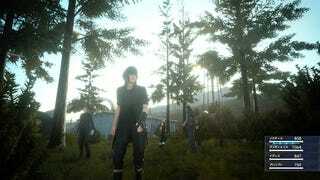 What Do You Think Of Final Fantasy XV So Far? And those of you who read Kotaku regularly might recall that during an interview in January, FFXV director Hajime Tabata told me that he looks to all sorts of places for feedback on his work, including our comments. So hey, let's take advantage of that. Post your thoughts on the demo—both positive and negative—in the comments below. We'll highlight the most insightful feedback, and maybe if we're lucky, Kotaku's thoughts will make it straight to the top (where Ramuh hangs out).